[This article first appeared in Aromatherapy Times, Vol 1 No.55 pp14-15 Winter 2002, and is reproduced by kind permission of the editor]. 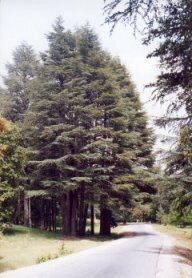 · Lebanese Cedar Cedrus. libani A. Rich. · Cupressus (for Chinese oils). Kenya Juniperus procera Endl. – no production. · Weeping Blue Juniper Juniperus recurva Buch.-Ham. · Hibawood oil Thujopsis dolabrata (L.f.) Siebold & Zucc. Hibawood oil was formerly used as a perfumery ingredient. (a) Cedarwood oil Atlas is produced by steam distillation of the waste wood, or sawdust of the tree, which can grow to 65m. at an elevation of 1400-2500m. in on several types of soil in 133,653 hectares of Cedar forest (Mardaga 1999) in the Moroccan Middle Atlas, Rif central and Grand Atlas Oriental and Middle Atlas oriental. It has been estimated that Cedar forest might which constitute 2.8% of the total area of Moroccan forest. The tree also grows in NW Algeria, and has been imported into N. America & Canada. The tree has been important in the socio-economy of Morocco, being good for furniture making. Whilst Cedarwood atlas trees are well conserved in specific area of parkland, the ecosystem is very fragile - often the margins are subject to degradation by erosion, demineralisation, dehydration, desertification etc. resulting in areas of complete desolation. From what I have seen there this year, the Moroccan ministry of Agriculture and various other bodies are doing all they can in very difficult circumstances to conserve the rich biodiversity of plants in Morocco. Cedarwood oil Himalayan which can reach 50m. is produced by steam ­distillation of the fragrant wood, saw dust, shavings and stumps of the tall evergreen tree which grows on the Himalayan slopes of N. India, Afghanistan and Pakistan, at elevations between 1650-2400m. As early as 1958, Chowdhury KA and Gosh S noted that the three most plentiful timbers in India were Tectona grandis, Shorea robusta and Cedrus deodara. 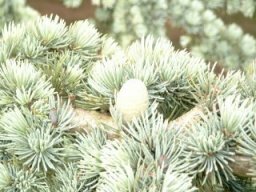 Cedrus deodara is been extensively used for external structures (not for internal work; it is too knotty and will not take paint), and is the wood of choice for railway sleepers. Its very usefulness has lead to its over-exploitation. The oil has plummeted in production volume from 20 tons/annum in the 1970’s, to about a ton presently. Odour: It is a yellow-brown to brown oil with dirty-woody, resinous, urinous odour. The dry-down on a perfumers strip is ­still woody-dirty, and takes on an almost Plasticine impression. It is very persistent. The oil also contains a number of a- and g-atlantone isomers, especially (E)-(+)-a-atlantone, which can constitute 10-15% in total of the oil (a- & g-atlantone are sweet smelling woody odourants and especially contribute towards the odour of the oil). a-pinene tr., g-himachalene 10.87%, b-himachalene 54.00%, a-himachalene 17.22%, d-cadinene 1.48%, a-humulene, 0.54%, b-calcorene, 0.74%, cedrene epoxide (??) 0.45%, b-himachalene oxide 0.34%, a-cedrene 0.49%, E- a-atlantone 1.41%, g-atlantone 1.69%. The oil is widely used for insect repellent activities; Turkish carpet shops are walled with cedarwood boards to deter moths. Cedarwood oil Atlas is used in local ethnobotanical medicine for a wide variety of purposes. Chemistry: Older literature suggests that the characteristic odour of C. deodora is due to the presence of p-methyl-d-3- tetrahydroacetophenone, but the oil also contains p-methyl acetophenone, cis- and trans- atlantones, a- and b-himalchenes, ar-dihydroturmerone as well as (+)-himachalol and (+)-allohimachalol, amongst others. The oil sold to aromatheraists is usually rectified – the unrectified oil is dirtier and more crudely resinous and urinic, also possessing a slight cassis note. The oil itself finds use in Ayurvedic medicine, as an anti-helmintic; decoctions of the wood being considered diaphoretic, diuretic and carminative. The bark is astringent and used for fevers, diarrhea and dysentry and the oleoresin and oil of the wood are used for treatment of ulcers and skin diseases. The oil from C. funebris is pale yellow or yellow-green, with an odour that is almost invariably smoky, woody­, bordering on crude, with an almost cresylic character. In comparison cedarwood oil Virginian appears smooth woody, slightly oily pencil sharpenings, and somewhat slightly sweet in comparison. The Chinese oil is, however, more powerful. The USA and Europe import large quantities of the Chinese oil - as it is a quarter of the price of Texan and Virginian Cedarwood oils, it is widely used as an adulterant of these oils. Texas/Mexican cedarwood oil essential oil is produced by steam distillation of the wood or wood shavings of the ­small tree, which grows in Texas, Mexico and parts of Central America. Cedarwood oil sold for under $4 per kilo in the nineties – it has always been cheap so there was little profit in harvesting Cedarwood trees, and millions of acres of farmland became invaded by this opportunist species. The US government offered incentives to clear this land, so that wood to produce the oil is in adequate supply. New technology (continual distillation termed “steam stripping” used by Texarome Inc. of Texas) replaces the older steam distillation process, which used to take up the 8 hours to remove the essential oil. G. R. Boucard and R.W. Serth “Practical Design of a continuous distillation plant for the separation of aromatic raw materials” can be viewed on http://207.71.36.16/distil.htm. The odour profile of the oil is of intense­ pencil sharpenings, smoky, woody notes with aspects of guaiacwood, but much ­drier than other Cedarwood oils. Dry-down is woody, smoky, and dry. Cedarwood oil Texas contains a-cedrene, b-cedrene, thujopsene, widdrol, pseudo-cedrol, b-chamigrene, cedrol, widdrene, isowiddrene, a-chamigrene and three cuparene isomers. © Phoenician Juniper Juniperus phoenicea. L.
Distilled from wood of shrub, or small conical tree distributed throughout Mediterranean, and N. Africa and Canary Islands and which grows to 17m. Entire forests of J. phoenicea, growing to 2000 m. can be found in Algeria. In Morocco J. phoenicea f. megalocarpa Maire in also found on the E. coastal parts of Morocco. J. phoenicea var. turbinata Parlatore with egg-shaped seeds has also been described as growing in Algeria, Spain, Italy and Sicily. The odour of the Lebanese oil is pine-like with some turpentine elements, almost cineolic; very toppy; oily; underneath some leathery warm labdanum character. Dry-down is powerful amber, labdanum-like, resinous. It has been noted by the author the the amber note intensity is seasonal. B.M. Lawrence reports on the terpene hydrocarbon composition of J. phoenicea giving the main component as a-pinene as 70.4% followed by limonene and b-phellandrene at 8.3% ref Perf & Flav Dec 1987/Jan 1988 p60. R.P.Adams et al (1991) compared the leaf oils of J. phoenicea, J phoenicea subsp. eu-meditrerranea and J. phoenicea var. turbinata (Guss.) Parl. They discovered that all oils were a-pinene dominant but J. phoenicea contained moderate amounts of myrcene, limonene, b-phellandrene, a-terpinyl acetate and 1-epi-cubenol. (d) Droopping Juniper Juniperus recurva Buch-ham ex D. Don. Small tree of conical habit, with stringy shaggy bark and drooping branches. Of interest as the wood and sawdust of this spp. and especially var coxii is burnt as incense, and set out in open vessels scenting the air with a cedarwood-like fragrance in Buddhist temples in the E. Himalaya. (e) Cedarwood oil Virginian Juniperus virginiana L.
Virginian cedarwood oil is the volatile essential oil produced by the steam distillation of the chopped wood, stumps, logs, wood shavings or sawdust of the slow-growing Eastern ­Red ­Cedar, growing in­ the S.E. of USA, Canada and Japan. The oil is yellow to yellow-brown (sometimes red-brown),­ often solid or semi-solid at room temperature due to precipitated­ cedrol. Redistilled oils, where sold, are almost colourless. The oil has a woody, oily, somewhat dry odour but cleaner, and markedly ­smoother than Atlas or Himalayan oils although less powerful. There is a distinct­ pencil-sharpenings note. Dry-down is still smooth woody-oily, ­ retaining the pencil-sharpenings aspect. Virginia cedarwood is considered by many perfumers to have a smoother and finer (but less powerful) odour than Texas oil. The major odour impact compound of cedarwood oils is considered to be (+)-a-cedrol, which occurs at up to 15% in the oil; the major portion of the oil being composed a- and b-cedrenes and thujopsene which are weak woody odourants. The sesquiterpene hydrocarbon content is 55 and 65%. Cedarwood oil Virginia shows a higher cedrol content than the Texas oil, and higher b-caryophyllene and g-eudesmol, whereas Chinese oils show higher thujopsene contents. Cedarwood oil Virginia is additionally used in insecticides, polishes and cleaning products, soaps, liniments, and cedarwood still-residues have been used in the manufacture of linoleum. Although there are some similarities in the major chemical constituents of Cedrus atlantica and Cedrus deodara, there is little similarity between the latter oils and Cupressus funebris, Juniperus ashei or Juniperus virginiana etc. Any therapeutic properties that Cedrus atlantica and Cedrus deodara might possess therefore, would not necessarily be mimicked by the other oils. It is hoped that this might be explored further in a further article. Abdelmalek Benabid (2000) Flore et écosystèmes du Maroc – Evaluation et preservation de la biodiversité pub. Editions Ibis Press Paris 2000. Burfield T (2000) Natural Aromatic Materials – Odours and Origins pub. Atlantic Institute of Aromatherapy, Tampa 2000. Burfield T (2002) "Odour Profiling (of Essential Oils) and Subjectivity" - talk given at the RQA's 12th Annual Conference Saturday, 9th March 2002 Regent's College Conference Centre, London. Chowdhury KA and Gosh S (1958) Indian Woods, their identification properties and uses Vol 1, Manager of Publicns, Delhi. Mardaga (1999) Le grand livre de la Foret Morocaine pub. P. Amardaga Spimont (Belgium) 1999. Zhaobang S. (1995) CIFOR Occasional paper No 6 “Production and Standards for Chemical Non-Wood Forest Products in China” CFIOR Sindangbarang, Bogor, Indonesia. Cedarwood Oils – part 2. Copyright © Tony Burfield Feb 2003. [This article first appeared in Aromatherapy Times, Vol 1 No.56 pp14-16 Spring 2003, and is reproduced by kind permission of the editor]. Although maybe slightly more unfamiliar to aromatherapists, importantly, the USA and Europe import large quantities of this oil, and, since it is a quarter of the price of Texan and Virginian Cedarwood oils, it is widely used as an adulterant of these oils. Although C. funebris is the stated botanical source of the Cedarwood oil Chinese, it is believed that in practice oils from other trees are frequently substituted in this commercial product. e.g. from Juniperus chinesis. The oil from C. funebris is pale yellow or yellow-green, with an odour that is almost invariably smoky, woody­, bordering on crude, with an almost cresylic character. In comparison Cedarwood oil Virginian appears smooth woody, slightly oily pencil sharpenings, and somewhat slightly sweet in comparison. The Chinese oil is, however, more powerful. Texas/Mexican cedarwood oil essential oil is produced by steam distillation of the wood or wood shavings of this ­small tree, which grows in Texas, Mexico and parts of Central America. Cedarwood oil Texas was sold for under $4 per kilo in the nineties – it has always been cheap so there was little profit in harvesting Cedarwood trees, and millions of acres of farmland became invaded by this opportunist species. The US government offered incentives to clear this land, so that wood to produce the oil is in adequate supply. Now new technology (in the form of continual distillation termed “steam stripping” used by Texarome Inc. of Texas) replaces the older steam distillation process, which used to take up the 8 hours to remove the essential oil. G. R. Boucard and R.W. Serth “Practical Design of a continuous distillation plant for the separation of aromatic raw materials” can be viewed on http://207.71.36.16/distil.htm. The odour of the Lebanese oil is pine-like with some turpentine elements, almost cineolic; very toppy; oily; underneath some leathery warm labdanum character. Dry-down is powerful amber, labdanum-like, resinous. It has been noted by the author the intensity of the amber note appears to be seasonally related. B.M. Lawrence (1987) reports on the terpene hydrocarbon composition of J. phoenicea giving the main component as a-pinene as 70.4% followed by limonene and b-phellandrene at 8.3%. R.P.Adams et al (1991) compared the leaf oils of J. phoenicea, J phoenicea subsp. eu-meditrerranea and J. phoenicea var. turbinata (Guss.) Parl. They discovered that all oils were a-pinene dominant but J. phoenicea contained moderate amounts of myrcene, limonene, b-phellandrene, a-terpinyl acetate and 1-epi-cubenol. The authors experience is that a-pinene and d-3-carene constitute >85% of traded oils seen, with smaller additional amounts of myrcene, terpinolene and a-terpinyl acetate also present. (d) Drooping Juniper Juniperus recurva Buch-ham ex D. Don. A small tree or shrub of conical habit, with stringy shaggy bark and drooping branches. The species is of interest as the wood and sawdust, especially that from J. recurva var coxii and J. recurva var. squatama Parl. (Weeping Blue Juniper) is burnt as incense, and set out in open vessels scenting the air with a cedarwood-like fragrance in Buddhist temples in the E. Himalaya. The photographs illustrate scenes where the author has experienced these wonderful scented odours. Virginia cedarwood is considered by many perfumers to have a smoother and finer (but less powerful) odour than Texas oil. The major odour impact compound of cedarwood oils is considered to be (+)-a-cedrol, which occurs at up to 15% in the oil; the major portion of the oil being composed a- and b-cedrenes and thujopsene which are weak woody odourants. The sesquiterpene hydrocarbon content is between 55-65%. Cedarwood oil Virginia shows a higher cedrol content than the Texas oil, and higher b-caryophyllene and g-eudesmol, whereas Chinese oils show higher thujopsene contents. Cedarwood oil Virginia is additionally used in insecticides, polishes and cleaning products, soaps, linaments, and cedarwood still residues have been used in the manufacture of linoleum. Chamaecyparis lawsoniana (A. Murr.) Parl.– Port Oxford Cedarwood (contains up to 46% a- & b- pinene). Chaemaecyparis nootkatensis (D. Don) Spach – Yellow cedar – wood used as incense. Chamaecyparis obtusa (Siebold & Zucc.) Endl. – Japanese Cedarwood “Hinoki” – the oil has a limited use in perfumery. Japanese government have protected trees of this species since 1982. Juniperus procera Hochst ex Lindl.- East African Cedarwood (oil not now commercially traded). Included in FAO listing of endangered tree and shrub species and provenances (FAO 1986). Accelerated mortality studies in Kenyan forests conducted by Anderson et al. (1994) and Ciesla et al. (1994). The oil contained mainly a-cedrene and a-cedrol (the latter to 40%). Thuja occidentalis L.- White Cedar tree giving “cedarleaf” oil, which contain up to 65% of thujones. Thuja absolute and concrete, produced by solvent extraction of the fresh leaves and twigs are used in perfumery for fresh herbal notes, and in masculine fragrances etc. Thuja plicata – Don ex D. Don - Western red cedar. Leaf and heartwood oils contain anti-insecticidal troplones, leaf oil additionally contains methyl ­thujate, T-muurolol as major components; this is sometimes sold as “cedarleaf oil” also. Thuja dolabrata (L.f.) Siebold & Zucc.- Hiba wood, (Japanese Cedarwood) oil used in perfumery. The wood of this evergreen conifer contains up to 75% thujopsene, also b-thujaplicine and (notably) carvacrol, the latter being a chewing rodent deterrent! Widdringtonia whytei Rendle Mlanje Cedarwood Oil. Some limited local use in parts of Africa. Although there are some similarities in the major chemical constituents (sesquiterpene hydrocarbons etc.) of Cedrus atlantica and Cedrus deodara (see Part 1 of this article), there is little similarity between the latter oils and the constituents of the more commonly traded oils of Cupressus funebris, Juniperus ashei or Juniperus virginiana, nor yet between those “Cedarwood” oils having a predominance of monoterpene hydrocarbons, such as oil from Chamaecyparis lawsoniana. §8. SAFETY ISSUES WITH CEDARWOOD OILS. Cedarwood oil Atlas when tested at low doses was found to be relatively non-toxic, non-irritating, non-photo-toxic & non-sensitizing – see Opdyke (1976a). Some aromatherapy authors indicate that Cedarwood oil Atlas should be “best avoided in pregnancy” (e.g. Lawless, 1995), although the scientific basis for this is not clear. The oil is classified with a R65 hazard phrase (: may cause lung damage if swallowed) since the hydrocarbon content may be present at up to 60% - well over the 15% point of labelling requirement. The safety phrase S62 is also recommended (if swallowed do not induce vomiting: seek medical advice and show this container or label). In the case of an accident, be ready to quote the CAS number: 8023-85-6. Cedarwood oil Himalayan has had no formal RIFM testing, but has been found to possess some toxic effects: see ACIP (1980). Lack of safety testing may reflect its relatively late introduction (late 1950’s) into essential oil trading circles, originally largely confined to India’s internal markets. Cedarwood oil Texas when tested at low doses is relatively non-toxic, non-irritating, non-photo-toxic & non-sensitizing – see Opdyke (1976b) [N.B. although early work e.g. Greenbaum S. (1934). etc. indicated subsequent photo-sensitisation problems to certain individuals exposed to toiletries containing cedarwood oil, this was not verified by Urbach & Forbes (1973)]. Furthermore, allergy was not recorded in any of 95 volunteers treated with cedarwood oil at 1% and 5% conc. in petrolatum as found by Frosch P.J. et al. (1995). The oil is classified with a R65 hazard phrase since the hydrocarbon content may be present up to 60%, and S62 safety phrase labeling is also recommended. The CAS No is 68990-83-0. Cedarwood Oil Virginian. Considering the relatively clean bill of health given to Cedarwood oil Texas, and the broad similarities between the compositions of the two oils, a slightly different picture emerges for Cedarwood oil Virginian. Cedarwood oil Virginia when tested at low doses was found to be relatively non-toxic, non-irritating to human skin, non-phototoxic & non-sensitizing (Opdyke 1974). As regards phototoxicity, although Urbach & Forbes (1973) found no phototoxic effects, there are several reports of toilet preparations containing Cedarwood oil Virginia causing dermatitis /pigmented dermatitis. Again, the oil is similarly classified with a R65 hazard phrase since the hydrocarbon content may be present up to 60%, but suggested advice is that it is also labelled as Xn Harmful, as well as the S62 safety phrasing. The CAS No is 8000-27-9. The oil is commonly indicated as abortifacient in popular high-street Aromatherapy books e.g. Lawless (1995) p. 160, or as possible abortifacient Miller & Miller (1995), although the basis for this is not clear. Lawless does not, however, similarly remark that Texas Cedarwood oil from J. ashei is an abortifacient in spite of shared compositional features (although to be fair, it is stated best avoided during pregnancy). Miller & Miller (1995) also repeat the semi-popular belief that (Virginian) Cedarwood oil will help provoke an overdue menstrual cycle (Lawless just cites emmenagoguic effects). Again the basis for this is clinically unclear, although since Miller & Miller also apparently believe that Cedarwood Virginiana contains thujone, the whole situation may easily arise from confusion with other oils. Cedarwood oil Virginia has been previously found to have tumour producing properties on mouse-skin (Roe & Field 1976) – however the oil was applied in benzene! (a known carcinogen!). Slightly more worrying perhaps is the finding that bedding materials of cedarwood shavings increased the incidence of spontaneous tumours of the liver and mammary gland susceptible strains of mice (Sabine 1975). Anderson R.L., Theuri D.K., Kanyi B., Ojwang J., Ndauti G & Ward J.G.D (1994) “Assessment of Forest Diseases in Kenya with specific emphasis on cedar decline” - carried out for FAO of the United Nations, Rome, Italy. A.C.I.P. (1980) Annual Conf Indian Pharmacol Soc (1980) abstr. 15. Burfield T. (2000) Natural Aromatic Materials – Odours and Origins pub. Atlantic Institute of Aromatherapy, Tampa 2000. Burfield T. (2002) "Odour Profiling (of Essential Oils) and Subjectivity" - talk given at the RQA's 12th Annual Conference Saturday, 9th March 2002 Regent's College Conference Centre, London. Ciesla W.N., Mbugua DK & Ward JGD (1994) “Preliminary observations on dieback of Juniperus procera in Kenya” Integrated Forest Pest Management Centre, Ministry of Environment and Natural Resources and FAO of the United Nations FO: DP/KEN/91/005, Field document 6. FAO (1986) Databook on Endangered Tree and Shrub Species and Provenances Forest Resources Division, Forestry Department, Forestry Paper 77. Frosch P.J. (1995) “Patch testing with fragrances: result of a multicenter study of the European Environmental and Contact Dermatitis Research Group with 48 frequently used components of perfumes. “Contact Dermatitis 33, 333-342. Lawless J. (1995) The Illustrated Encyclopedia of Essential Oils pub. Element Saftesbury, Dorset. Lawrence B.M. (1988) Perf & Flav Dec 1987/Jan 1988 p60. Miller L. & Miller B. Ayuurveda Aromatherapy Lotus Press 1995 p235. Opdydyke D.L.J. (1974) FCT 12, 845-6. Opdyke D.L.J. (1976a) FCT 14, 709. Opdyke D.L.J. (1976b) FCT 14, 711. Roe FJC and Field W.E (1965) “Chronic toxicity of essential oils and certain other products of natural origin” FCT 3, 311. Sabine JR (1975) “Exposure to an environment containing the aromatic red cedar, Juniperus virginiana: procarcinogenic, enzyme-inducing and insecticidal effects”. Toxicology 5(2) 221-35. Urbach & Forbes (1973) Report to RIFM (1973). Zhaobang S. (1995) C.I.F.O.R. Occasional paper No 6 “Production and Standards for Chemical Non-Wood Forest Products in China” CFIOR Sindangbarang, Bogor, Indonesia. Cedarwood Oils – part 3: Therapeutic Properties. Copyright Tony Burfield © May 2003. [This article first appeared in Aromatherapy Times, Vol 1 No.57 pp 16-18 Summer 2003, and is reproduced by kind permission of the editor]. References to beneficial effects of cedarwood (wood, leaf, bark) go back to the ancient Greeks – Dioscorides mentions ‘cedar’ oil used to preserve dead bodies. The Bible has several references to Cedarwood, but it is not always clear if either of these sources refer to Cedar of Lebanon Cedrus libani or to Juniper species such as Juniperus phoenicia. 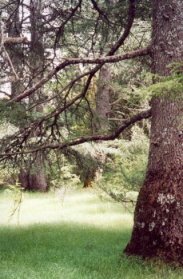 Cedrus libani is official in the PDR (2000), but, under ‘uses’, the oil is only listed in the monograph as an expectorant, with application in catarrhal conditions of the upper respiratory tract only being indicated as unproven. Digrak et al. (1999) further showed that chloroform, acetone and methanol extracts of the leaves, resins, cones and fruit of C. libani inhibited development of nine out of ten bacteria (but not E. coli) although the role of the essential oil content for these findings is not clear. In more detail, therapeutic data is discussed below, but frustratingly, several published papers describing experimental work using cedarwood oils, do not indicate a botanical origin, let alone a chemical analysis, rendering the results difficult to ascribe to any known physiologically active principles. In particular some critical comments are included below where an apparent lack of scientific rigor seems to occur in certain published papers. General properties. This oil is familiar to aromatherapy practitioners, although its uses stretch way back in Ayurvedic medicine. Jala (1994) sums up the uses of the oil in India as being antiseptic, diaphoretic, depurative and diuretic, also being useful in leprosy, syphilis, skin diseases, wounds and ulcers, fever and strangury. Since usage of oil and other parts are often confused, for completeness, it should be mentioned that the bark of the tree is often used as an astringent & febrifuge, also being employed in fever, and in cases of dysentery, & diarrhea, & urinary diseases at a dose of 0.7 to 2.8g/day (Chatterjee & Pakrashi 2001). [The same authors quote the oil as being emetic at a dose of 1.8g., used in folk medicine for ulcers, rheumatism, flatulence & leprosy]. Bark extracts have been the subject of a Canadian patent (1967) to reduce urine and blood sugar levels in diabetics. The wood is considered diuretic, diaphoretic and carminative (Marg 1992). Ground wood paste and water are used to dispel headache by applying to forehead and temples (Maheshwari & Biswas 1970). Free radical scavenging activity has been ascribed to specific compounds in chloroform extracts of dried & defatted heartwood powder (Tiwari et al. 2001). Franchomme & Peneol (1990) ascribe cicatrisante (promoting scar tissue formation), arterially regenerative, lymphytonic and lipolytic actions to the steam distilled oil, indicating its use in conditions of antherosclerosis, and in hydrolipid retention, and for cellulite. In Indian rural vetinary practice, both the steam distilled wood oil and oleoresin have a history of use for ulcerous skin conditions, and a dry distilled oil prepared by destructive distillation has been used to treat mange in cattle, a 20% dilution in castor oil being used for buffaloes and calves (Indian J. Vet Sci (1968) 38, 203; ibid (1976) 53,543). Mixed with ghee, and sometimes also together with oil of Pinus roxburhii, it has anti-helmintic (worm killing; dispelling) properties when taken internally. “Pestoban” is a registered commercial product which is a mixture of three plant extracts, two of which are known molluscocides: C. deodara, and Azadirachta indica (Neem) and the potentiator Embelia ribes, which has no molluscocidal effect itself but which makes the action of the latter two products 100 times more active (Prosea 1999). [Agents that increase vascular permeability increase the local blood supply, thereby better enabling potential healing mechanisms]. Chandra (1978) looked at the capillary permeability of C. deodara wood oil, following up from the work of Jawahar Lal et al. (1976) who had reported that the oil was more efficaceous than benzyl benzoate or tetraethylthiuram monosulphide against sarcoptic mange in sheep. Using a dye as indicator (Evans Blue), Chandra injected the flanks of 15 shaved adult rabbits (20mg/Kg) and varying concentrations of C. deodora wood oil in castor oil were injected intradermally using turpentine oil as a control. Histamine dihydrochloride was injected at specific spots as a positive control. The increase in permeability of the dye was recorded at 10, 15, 20 and 30 mins and at 1,2 and 3hrs after injection. Four rabbits additionally were treated with mepyramine maleate (25mg/Kg). Finally, in a different experiment, the subcutaneous tissues of rats were exposed to the oil for 45 mins and stained with toluidine blue, to examine the effects on mast cells. Chandra et al. found that C. deodora oil produces a dose-dependent increase in cutaneous permeability, which was not blocked by mepyramine maleate pre-treatment. Turpentine and histamine also produced increases; the effect of a 15% oil solution, was comparable to 1ug histamine dihydrochloride. The authors speculate that the beneficial effect of C. deodara oil in mange-infected sheep may be lie in an increase in vascular permeability to the site of application. Some twenty years later, Sharma et al. (1997) looked at the serious skin problem sarcoptic mange in sheep using Cedrus deodara and benzyl benzoate (both described as a common acaricidal drugs in India). Twenty-four lambs divided into three groups (one as control) infected with Sarcoptes mites were separately treated on alternative days with the appropriate drugs and the animals monitored for appearance of lesions, total erythrocytes leukocytes and hemoglobin concentration every 10 days after treatment. It was found that the group treated with deodara oil responded faster to treatment, being free from mites on the 10th day as opposed to the 14th day. Further, animals treated with deodara had significantly higher erythrocyte and leukocyte counts compared with the control – the authors concluded that C. deodara was therefore found more effective than benzyl benzoate in controlling mange in sheep. [Spasmolytics help reduce muscle spasm or tension in specific areas - visceral smooth muscle, gut wall, colon, bronchia etc.]. Work into the investigation of the properties of sesquiterpene alcohols in C. deodora was carried out by Dhar et al. (1968) who found spasmolytic activity in the 50% ethanolic extract of the wood of C. deodora . Himachalol, a sesquiterpene alcohol from the wood of C. deodara was isolated by Kar et al. (1975) and was found to produce spasmolytic actions, rather similar to papaverine on various isolated smooth muscles, with other actions including hypotensive effects, and increasing femoral blood flow. The authors described himachalol as the major antispasmodic component of the wood. Following this, Panaik et al. (1977) evaluated the spasmolytic activity of five sesquiterpene fractions from C. deodora essential oil: himachalol, allohimachalol, himadarol, centdarol, and isocentdarol using papaverine as a standard. Himachalol and allohimachalol were found to be most effective (1.4 to 5 times more active than papaverine). Using a variety of culture techniques, himachalol has also been shown to afford some protection against invasive Aspergilli in laboratory mice, and the authors drew attention to the fact that Aspergillosis infections are increasingly important in immuno-compromised patients (Chowdhry et al. 1997). Further to reports that the oil can be used as an insect repellent (Khadi Gramodyog 1972-3), Singh et al. 1984 demonstrated a 50% knock down of mosquitoes Anaphales stephani could be achieved at a 0.45% concentration. Schinde et al. (1999) looked at the possible mechanisms involved in anti-inflammatory activity of C. deodara oil via the effects on isolated rat peritoneal cells and inhibition of enzyme lipoxygensaes at a concentration of 200ug/ml. and ascribed the anti-inflammatory properties of the oil to mast-cell stabilizing properties and inhibition of leukotriene synthesis. In a separate study Schinde et al. (1999a) looked at the anti-inflammatory and analgesic activity of orally administered steam distilled C. deodara wood oil by finding an inhibitory effect on the induction of rat-paw edema, both in exudative-proliferative and chronic phases of inflammation in adjuvant arthritic rats, at doses of 50 & 100mg/Kg body weight. Hot plate and acetic acid induced writhing (the latter technique being useful for examination of peripheral analgesic effects) were both reduced in mice by the analgesic effect of the oil. Sano et al. (1998) report of the influence of cedar essence (no botanical origin stated) in decreasing the spontaneous activity and amount of wake of rats, whilst increasing non-rapid-eye movement (NREM) sleep. In humans cedar essence exposure reduced NREM sleep stage 2 latency. 2. Cedarwood atlas Cedrus atlantica. General properties Sheppard-Hanger (1995) summarised the literature ascribing antiseptic (urinary, pulmonary), antiseborrheic, aphrodisiac, astringent, emollient, expectorant, fungicidal, insecticidal, & sedative properties to cedarwood Himalayan oil. Franchomme & Peneol (1990) ascribe similar properties to the oil of Cedrus atlantica as they did to Cedrus deodara: cicatrisante, arterially regenerative, lymphytonic and lipolytic actions to the oil, indicating its use in antherosclerosis and for hydrolipid retention and cellulite. Additionally they indicate potential uses in the case of bronchitis, tubeculosis, dermatoses and gonorrhea. Other advocates of the “structure-action” theory of aromatherapy such as Caddy (1997) draw on the fact that (sesquiterpene) alcohols atlantol and cedrol constitute some 29% of the oil composition, seemingly in broad agreement accordance with Frachomme & Penoel’s figure of 30%. It is not my experience that this level of sesquiterpene alcohols is typical of now-traded Cedarwood Atlas oil, nor do other published analyses support this (e.g. Chalhat et al. 1994). Adulteration of the oil with cheap cedarwood oil /cedarwood chemicals (known in the oil trade to occur to the imported Moroccan oil by certain unscrupulous French aroma companies who then distribute it to dealers) might possibly help to explain this discrepancy, or Arctander’s original comments about artifacts being produced in the oil by high pressure steam or wood pulping processes may also apply (Arctander 1960). Conway (2001) discusses the fact that some workers consider the oil as a subspecies of Cedrus libani (cedar of Lebanon) – and describes actions as antiseptic, anti-catarrhal, circulatory stimulant, & expectorant (Conway 2001). A monograph by Hmamouchi M. (2001) indicates that in Morocco, the leaves and wood of the tree are used as an anti-inflammatory for rheumatism – disappointingly no other local ethnic uses as described. Gattefosse was able to draw on many sources for his aromatherapy studies, reporting that Professor Trabaut pioneered the use of Atlas cedarwood oil at Mustapha hospital in Algiers in 1899 for venerology. Doses reportedly ranged from 1.6 to 8g. per day, although higher doses were used initially giving way to lower doses. Further reports of work by Drs. Evrard, Tant Duffaut and Prof Jausion at Val de Grace Hospital. Cedar essence was said to be “effective against “rheumatic pains, atonic wounds, and all manner of other diseases” which are written up in a volume by Massy (1928)”. Lis-Balchin et al (1998) investigated the relationship between essential oil composition and biological activity, testing in vitro for example some 105 commercial essential oils against 25 Gram-positive and Gram-negative bacteria, and 20 strains of Listeria monocytogenes. Four cedarwood oils (Atlas, Chinese, Texas, Virginia) tested were only found to be active against from 2-4 different strains of bacteria and none of the twenty strains of Listeria monocytogenes. On the basis of these in vitro results the authors challenged Tisserands report of a good “antiseptic” claim for cedarwood in his book “The art of Aromatherapy” revised edn. The authors also state that the composition of the four cedarwood oils (not shown in the paper) was quite similar and that high cedrene and thujopsene contents, together with a high cedrol content was not conducive to high biological action. Tony Burfield’s comments: This shows the dangers of assuming that commercial oils are genuine – authentic Cedarwood Atlas oil is generally assumed to be principally composed of 70% himachalenes and accompanying atlantones (see Chalchat et al. 1994); similarly Cedarwood Deodar oil has no major cedrene, thujopsene and cedrol content. These conclusions must therefore be unreliable as the oils used were ‘untypical’, and Tisserand’s original comments stand unchallenged by this work, certainly for the time being. In contrast, other studies (Parfum Kosmet 1980, 61, 219) have indicated good in vitro efficiency against nine out of ten pathogenic Gm +ive and Gm –ive bacterial organisms tested, and other work points to fungotoxic effects (Indian Perfumer 1981, 25(3&4),1). Hay et al. (1998) used 86 patients with alopecia areata separated into two groups in a randomized double blind controlled trial which extended over 7 months, and massaged essential oils in carrier oils into the scalp on a daily basis. The authors used oils of thyme, rosemary, lavender, and cedarwood atlas. Significant improvement was proven by photographic assessment at 3- and 7- month intervals. 3. Cedarwood Virginia Cedrus virginiana. General properties Sheppard-Hanger (1995) sums up the aromatherapy literature describing the oil as antiseborrhic, pulmonary & genito-urinary antiseptic and analgesic (similar to sandalwood), antispasmodic, astringent, decongestant, diuretic, emmenagogue, emollient, fungicide, insecticide, nervous sedative. Franchomme & Penoel (1990) ascribe venous decongestive effects and phelebotonic effects to the oil, being indicated for varices, internal & external haemorrhoids. “Structure-action” theory advocates such as Caddy (1997) mainly have sesquiterpenes and alcohols to consider from the oil composition. The author adds little to Sheppard-Hanger’s original summary except for alleged balancing and diuretic properties. According to Hartwell (1970), decoctions of the powdered leaves are used to treat skin rashes, veneral warts, bronchitis, rheumatism etc. Duke and Wain (1981) report that “cedarwood is abortifacient, diaphoretic, diuretic, emmenagogue, stimulant, sudorific, and taenifuge, red cedar is a folk remedy for arthritis, bronchitis, catarrh, debility, dropsy, rashes, rheumatism, skin ailments, venereal diseases, and warts. Leaves used as a stimulant, emmenagogue, and taenifuge.” They further report that in Appalachia, a mixture of nuts, leaves, and twigs is boiled and the aromatics inhaled as a bronchitis treatment. Clark et al. (1977) examined the methanolic and hexane extracts of the bark/sapwood and leaves of 12 US Juniperus spp. and the extracts which contained essential oil were noted to have a similar activity to streptomycin against a number of bacteria and fungi. Carter (1976) looked the inability of the termite (Reticulitermes flavipes) to survive on the sawdust of J. virginiana, or of a pentane extract (which contains essential oil) of the same sawdust. Adams et al. (1988) broadly confirmed the findings of Carters earlier work above, demonstrating that seven of the heartwood extracts of 12 Juniperus taxa of the US showed very high termicidial activities. Sabine (1975) had earlier shown that oil of cedarwood and isolates cedrene (isomer not identified) and cedrol interrupted the reproductive cycle of the Peanut Trash Bug (Elasmolomus sodidus), the Indian Meal Moth (Plodia interpunctella) and the Forage Mite (Tyrophagus putrescentiae). Naples et al (1992) report that the cercariae of S. mansoni (human parasite pest) will survive in fresh water until a suitable host presents itself. Once dermal penetration of the host is achieved, and following the detection of a penetration stimulant (usually skin lipids or fatty acids e.g. linolenic acid) physiological changes are accelerated which affect the lifetime of the organism in fresh water. These changes include disruption of the cercarial glycocalyx, which alter processes concerned with osmoregulation. Cedarwood oil may act by acting as a penetration response agent itself, leaving the organisms vulnerable to hypo-osmotic conditions, and it may increase the ingress of toxic substances into the organisms. Cedrol in particular, a principle component of cedarwood oil, seems to have a high toxicity to cercariae. Panella et al. (1997) examined a number of acaricides, including those extracted from J. virginiana, and a number of phytochemicals against the immature ticks Ixodes scapularis. Extracts of J. virginiana were found most effective against the larval stage of the ticks (LC=0.001% w/v) out of all substances tested. On the other hand cedarwood oil (botanic origin not specified) in dilution and at 100%, and in combination with essential oils of Bourbon geranium, cedarwood, clove, peppermint, and thyme failed to repel mosquitos Aedes aegypti (L.) and Anopheles albimanus Wiedemann (Barnard 1999). Cedarwood oil was also one of six mosquito repellent substances tested by Curtis et al. (1987) against four Anopheles strains of which An. stephansi was found to be the most susceptible. Asakura K et al. (1999) demonstrated that a-eudesmol, a minor component of the oil of J. virginiana, selectively inhibited the pre-synaptic omega-agatoxin IVA (omega-Aga-IVA)-sensitive Ca2+ channel, which according to the authors, has been found to play an important role in the physiological neurotransmitter release in mammalian nerve terminals. Opdyke (1974) gives several references to mice exhibiting reduced hypnotic effects [e.g. Wade et al. (1968)] with hexobarbitone via exposure to fragrant cedarwood bedding inducing microsomal enzymes which degrade hexobarbitone. General Properties: Sheppard-Hanger (1995) describes the aromatherapy literature as alluding to antiseptic, antispasmodic, astringent, expectorant, nervous system sedative, circulatory (venous) & lymphatic decongestant / stimulant proerties. Franchomme & Peneol (1990) ascribe the same properties for Cedarwood oil Texas as for cedarwood oil Virginia: venous decongestive effects and phelebotonic effects, being indicated for varices, & internal & external haemorrhoids. Little published data is specifically available for therapeutic effects this oil that the was able to unearth. Cedarwood oil (no origin stated) had a weak therapeutic action against tuberculosis when injected 10mg/week (as 2% solution in olive oil) into guinea pigs which are receiving sub-effective doses of dihydrostreptomycin (Kato & Gözy 1958). The insecticidal activities of J. recurva heartwood extracts from Nepal, including the steam volatile oil, were examined by Oda et al. (1977). They examined the individual components of the oil for activity, and found that the most active components were thujopsene (with an LD50 of 4.5 mg/mosquito) and 8-cedren-13-ol. Many components e.g. b-cedrene, cuparene, widdrol and acoradiene were found inactive. There are clear implications for further research into other ‘cedarwood’ oils here. The wood leaves and twigs of this fragrant J. recurva is used in incense in Himalayan districts, the smoke from the green wood being considered emetic (Marg 1992a). Broadly speaking, the traditional folk-law and more recent aromatherapeutic properties ascribed to Himalayan and Atlas cedarwood oils, arising from the combination of sesquiterpene and sesquiterpene derivatives contained therein, seem to be broadly confirmed by what little recent experimental work was found by the author in this brief survey. Hard therapeutic evidence for the properties of Virginian and Texan cedarwood oils, which have a different composition, is more difficult to find. The latter two oils may substitute in properties for Himalayan & Virginian cedarwood oils in some application areas, but certainly not in others (see detail above). Further, it is likely that many oils on the aromatherapy market are not genuine, especially since production tonnages of Atlas and Himalayan cedarwoods are dropping, and relatively cheap Chinese cedarwood oil, known to be frequently used as an adulterant of these oils, has been easily available and imported into Europe and the USA in large quantities, in recent times. Although the composition of Chinese cedarwood Cupressus funebris resembles Virginian and Texan oils, but is much cruder in odour profile, the composition of Chinese Cedrus deodar (grown in SW Xizang) is very distinctly different to the Indian oil, and in no way can be used as an equivalent oil. Arctander S (1960) Perfume and Flavour Materials of Natural Origin pub. Elizabeth NJ (USA). Asakura K, Kanemasa T, Minagawa K, Kagawa K, Ninomiya M (1999) “The nonpeptide alpha-eudesmol from Juniperus virginiana Linn. (Cupressaceae) inhibits omega-agatoxin IVA-sensitive Ca2+ currents and synaptosomal Ca2+ uptake” Brain Res 823(1-2),169-76. .
Barnard DR (1999) “Repellency of essential oils to mosquitos: Diptera: Culicidae”. J. Med. Entomol. 36(5), 625-9. Bible references: Leviticus 14:4, 14:6, 14:49, 14:51-54. Caddy R (1997) Aromatherapy in Colour Amberwood Publishing GB. Carter FL (1976) “Responses of subterranean termites to wood extractives” Mater Org. Beih 3, 357-364. Chalchat J-C, Garry R-P & Michet A (1994) “Essential oil in sawdust of Cedrus atlantica from Morocco” JOER 6, 323-325. Chandra S et al. (1978) Indian Vet. J. 55, 963-965. Chatterjee A & Pakrashi SC Treatise of Indian Medicinal Plants (NISC Delhi 2001) Vol 1, page 14 et seq..
Chowdhry L, Khan ZK & Kulshrestha DK (1997) “Comparative in vitro and in vivo evaluation of himachalol in murine invasive Aspergillosis” Indian J. Exptl. Biol. 35(7) 727-734. Clark AM et al. (1990) “Anti-microbial properties of the heartwood, bark/sap wood and leaves of Juniperus spp.” Phytother Res. 4, 15-1977. Curtis CF, Lines JD, Callaghan A, Hill N & Karimzad MA (1987) “The relative efficiency of repellents against mosquito vectors of disease” Med Vet Entomol 1(2), 109-19. Dhar et al. 1968 “Screening of Indian Plants for biological activity: part 1.” Indian Journal of Experimental Biology 6, 232-239. Digrak M, Ilcim A, Hakki AM (1999) “Antimicrobial activities of several parts of Pinus brutia, Juniperus oxycedrus, Abies cilicia, Cedrus libani and Pinus nigra.” Phytother Res 13(7), 584-7. Duke, JA & Wain KK (1981) Medicinal plants of the world. 3 vols. Franchomme P. & Peneol D (1990) l’aromathérapie excactment pub. Jollois. Gramodyog Khadi. (1972-3), 19, 269. Jahawar Lal et al. (1976) Indian Vet. J. 53, 43. Jalal AV (1994) ed. Indian Medicinal Plants 2 pub Orient Longman p41. Kar K, Puri VN, Patnaik GK, Sur RN, Dhawan BN, Kulshrestha DK, Rastogi RP (1975) “Spasmolytic constituents of Cedrus deodara (Roxb.) Loud: pharmacological evaluation of himachalol.” J Pharm Sci 64(2), 258-262. Kato L. & Gözy B (1958) “Treatment of experimental tuberculosis of guinea pig with dihydrostreptomycin and simultaeneously with substances acting on the host.” Archs int. Pharmacodyn. Therap. 117, 52. Lis-Balchin et al (1998) “Relationship between bioactivity and chemical composition of commercial essential oils” Flav. & Frag. J. 13, 98-104. Maheshwari P & Biswas C (1970) Botanical Monograph No 5 Cedrus – CSIR New Delhi 1970 p108. Marg KSK (1992) The Useful Plants of India NISC CSIR Delhi 1992 p112. Marg KSK (1992a) ibid p 305. Massy M. (1928) “Le cedre de l’atlas et les products qu’il fournit a la therapeutique”. Oda J. et al. (1977) “Studies on insecticidal constitutents of Juniperus recurva” Buch. Agric. Biol. Chem. 41, 210-204. Opdyke DLJ FCT (1974) 12, 845. Panella NA, Karchesy J, Maupin GO, Malan JC & Piesman J (1997) “Susceptibility of immature Ixodes scapularis (Acari:Ixodidae) to plant-derived acaricides.” J Med Entomol 34(3), 340-5. Patnaik GK et al. (1977) “Spasmolytic activity of sesquiterpenes from Cedrus deodora. Indian Drug Manuf. Assocn. Bulletin (VII) 18, 238-242. PDR (2000): PDR for Herbal Medicines 2nd edn. pub. Medical Economics Co. Montvale NJ (2000) p 169. Prosea (1999) Plant Resources of SE Asia 12 (1) Medicinal and poisonous plants 1, pub. Prosea Foundation, pub. Backhuys Publicns, The Netherlands p255. Sabine JR (1975) “Exposure to an environment containing the aromatic red cedar Juniperus virginiana: procarcinogenic, enzyme-inducing and insecticidal effects” Toxicology 5(2), 221-35. Sharma DK et al. (1997) Small Ruminant Research 26, 81-85. Sheppard-Hanger S, (1995) The Aromatherapy Practitioner Reference Manual, AIA, Tampa, Fl. Shinde UA, Phadke AS, Nair AM, Mungantiwar AA, Dikshit VJ, Saraf MN (1999) “Studies on the anti-inflammatory and analgesic activity of Cedrus deodara (Roxb.) Loud. wood oil.” J Ethnopharmacol 65(1), 21-7. Singh D, Rao SM & Tripathi AK (1984) “Cedarwood oil as a potent insecticidal oil as an agent against mosquitoes.” Naturwissenschaften 71(5), 265-6. Tiwari AK, Srinivas PV, Kumar SP, Rao JM. (2001) “Free radical scavenging active components from Cedrus deodara “J Agric Food Chem 49(10), 4642-5.